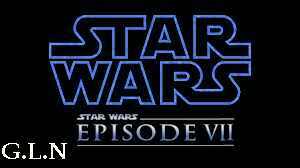 With the vast rumours circulating around the Internet about the popular movie director J.J. Abrams apparently directing Star Wars Episode 7, we look at a possible game. The news come out just over half an hour ago that the Star Trek director is taking the helms. The massive experience that J.J. Abrams brings to the franchise is brilliant considering that he is part of the new revamped Star Trek films. So many of you will be wanting a game to go with the new movie we suspect. Nearly every single major movie title has a video game made just before the movie actually gets released at the cinema’s or has it’s premiere. Why should episode VII be any different to them? The fact that there have been numerous games dedicated to the movies such as Star Wars Battlefront and Lego. There is no doubt that there is to be a game to accompany the movie, but as soon as we get the latest news on it, our readers will be the first to hear.